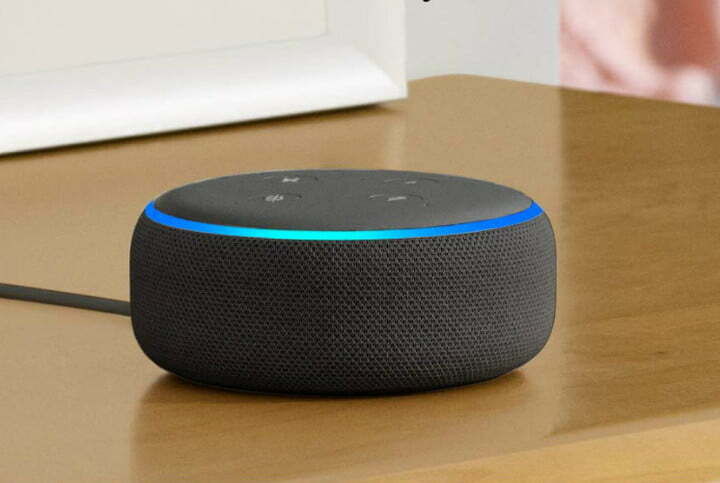 Amazon slashed prices with Easter deals on Echo Dot Alexa smart speakers, Ring video doorbells and security systems, and more, including Fire Tablets. Some of the best deals are for multiple-unit purchases. Most Ring deals include a free Amazon Echo Dot in addition to healthy price cuts. There’s no announced end date, but Easter isn’t until next Sunday. Amazon discounts its brands often, but some of the device deals in this Easter sale have the best prices we’ve seen since last November’s Black Friday. We gathered the best Easter deals for Amazon brand devices, with savings of as much as $100. The third-generation Echo Dot is Amazon’s best-selling smart speaker ever. Amazon, the company known for its almost infinite inventory, ran out of Dots before Christmas. You can set up a single Dot to speak with Alexa for answers to questions, to stream music from the free or subscription versions of Amazon Music, or control a houseful of smart devices. Normally priced at $50 each, the Amazon Echo Dot is just $40 for one smart speaker during this sale. The best deal by far, however, is for three Dots. Instead of the normal $150 total price, or even $120 at the per-unit sales price (when you order three Echo Dots separately but during the same transaction during this sale), the checkout price is only $70 — lower than the Black Friday and Cyber Monday prices. Whether you want to buy your first smart speaker or add more Dots to your home, the Echo Dot 3-pack is an extraordinary deal. Ring’s Video Doorbell 2 with Echo Dot is the most popular of the brand’s video doorbell series. Complete with 1080p full HD video, two-way audio, and motion-activated alerts, the Ring Video Doorbell 2 can be hardwired or run on the included rechargeable battery. This deal includes the Ring Video Doorbell 2 and a third-generation Echo Dot. Usually $199 if purchased separately, the bundled Ring Video Doorbell 2 and Echo Dot $169 during Amazon’s Easter sale. If you’re looking for an Amazon customer favorite video doorbell, here’s an opportunity to get an attractive discount and what is essentially a free Echo Dot. The Ring Floodlight Motion-Activated HD Security Cam has two-way audio and an integrated siren alarm. This combination video security camera, visitor intercom, and motion-detector alert system is bundled with a third-generation Echo Dot for the Easter Sale. Regularly priced $299 when purchased separately, the Ring Floodlight HD Security Cam bundled with an Echo Dot is just $199 for this sale. If you’re shopping for an all-inclusive exterior security light with video and two-way audio, this could be the time to snap one up at this discounted price bundled with an Echo Dot. You can buy any of several pre-configured Ring Alarm security systems, ranging from 5-piece to 14-pieces. All Ring alarm configurations are discounted for the Easter sale, and each also includes an Echo Dot for no extra cost. The 5-piece version consists of a base station, keypad, one entry sensor, one motion detector, and a Wi-Fi range extender. Ordinarily $249, the Ring Alarm 5-piece kit bundled with an Echo Dot is just $170 during this sale. If you only need a basic alarm system for an apartment, or if you want to start with a simple system and upgrade later, this is an excellent opportunity to take acquire a versatile system at a compelling price with an Echo Dot included. Amazon’s Fire HD 8 Tablet in many respects gives the most bang for the buck among the versatile Fire tablet lineup. The Fire HD 8’s is an Alexa hands-free device and supports Echo Show mode to display video from Alexa compatible security cameras as well as streamed video entertainment from sources like Netflix, Amazon Prime Video, Hulu, and more. 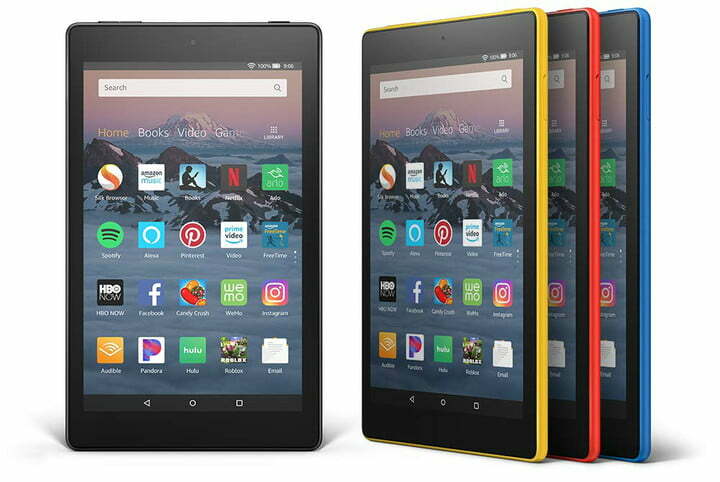 The Fire HD 8 includes Dobly Atmos with stereo speakers, and the battery runs the tablet for up to 10 hours before recharging. Instead of the usual $240 price at $80 each, Amazon cut the price of a Fire HD 8 Table 3-pack to just $180, or $60 each during this sale. If you want a powerful tablet at a great price, now could be the time to click the buy button. There are equally good sales on the Fire 7 Tablet 3-packs (normally $150, on sale for $110) and the Fire HD 10 Tablet 3-packs (normally $450, on sale for $330).